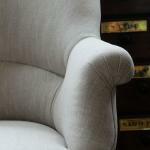 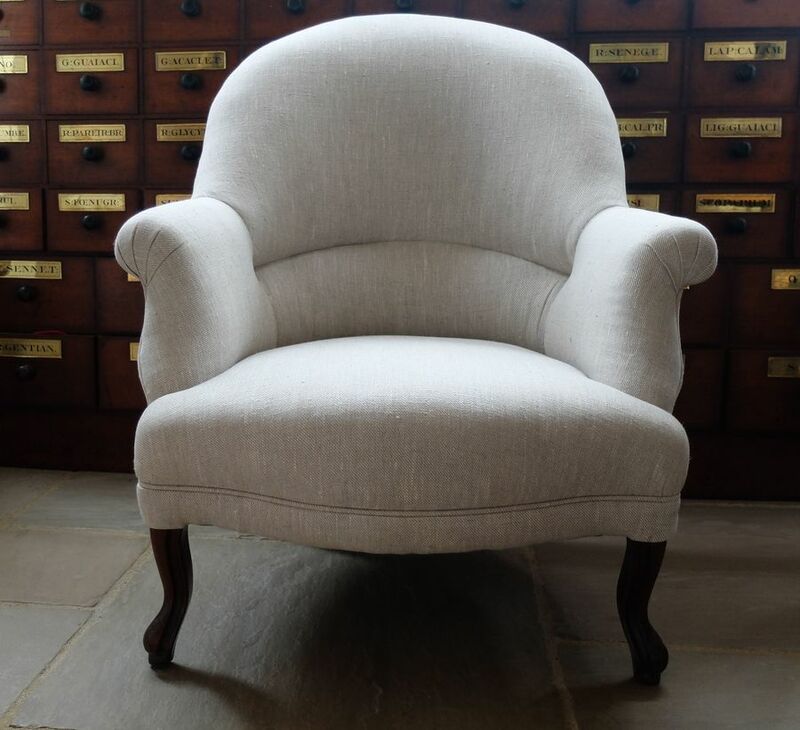 A well proportioned armchair. 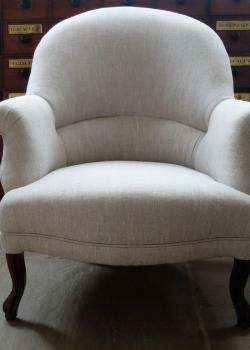 French, circa 1890. 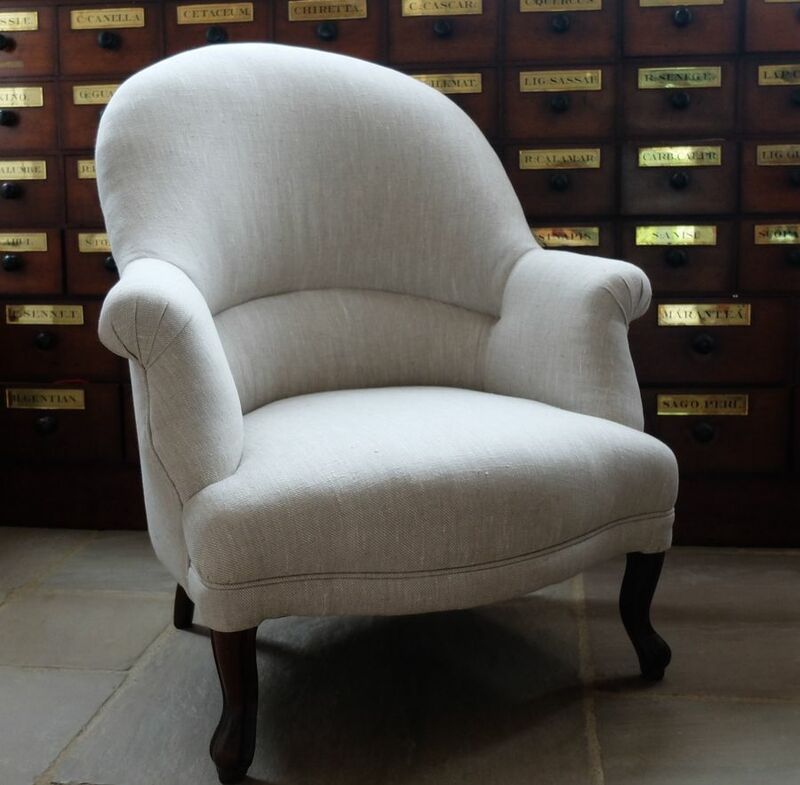 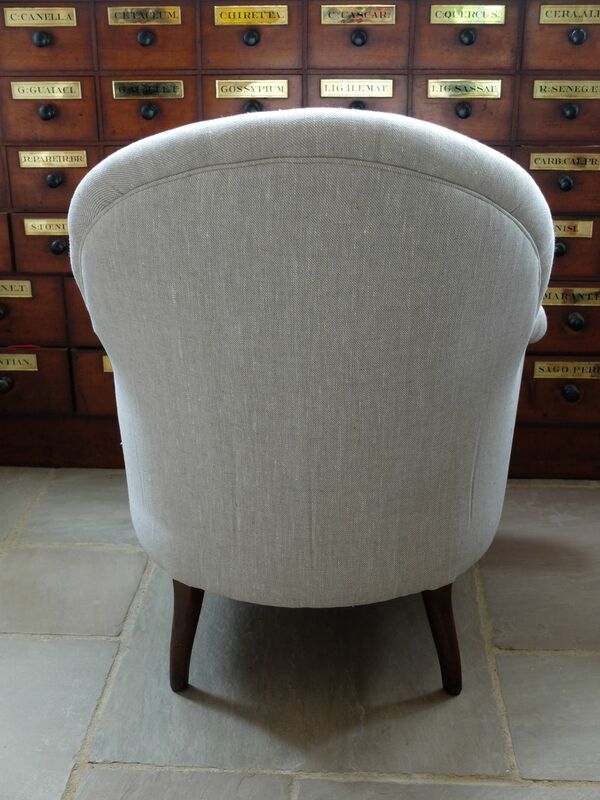 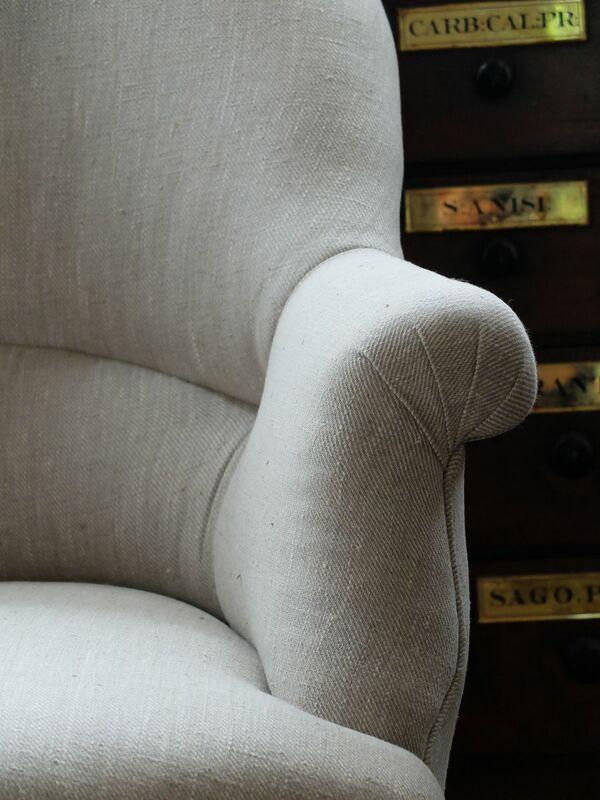 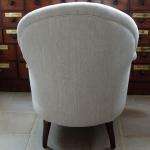 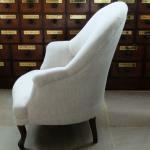 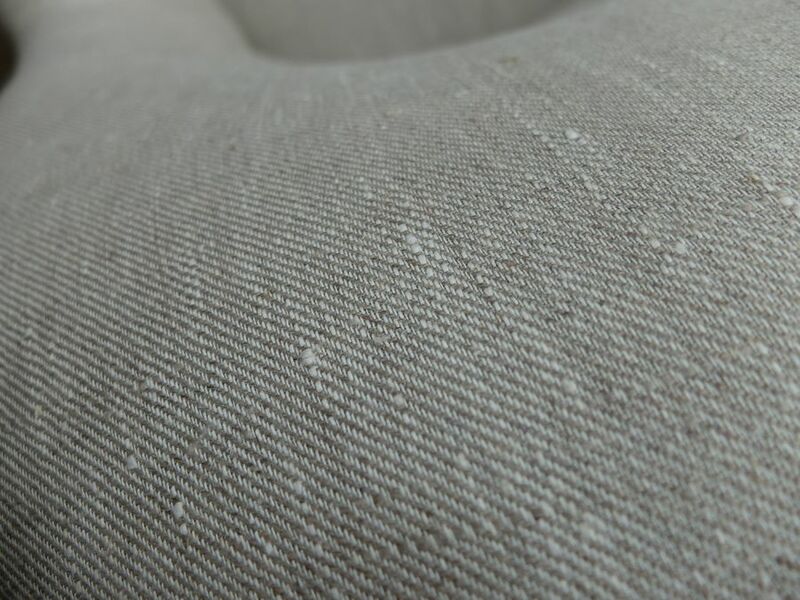 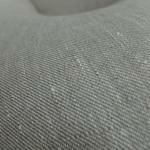 Re-upholstered in a neutral, hard wearing linen.